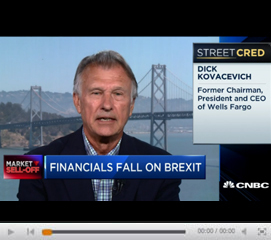 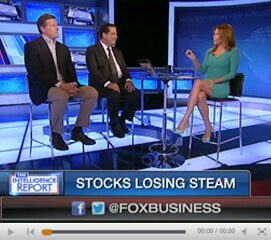 Bill Isaac says the market impact of Brexit will be short-lived, on Fox Business News, June 27, 2016. 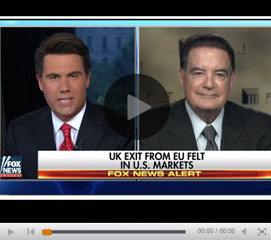 Bill Isaac discusses the Brexit fallout and weighs in on the UK’s EU departure on Fox News, American News Headquarters, June 25, 2016. 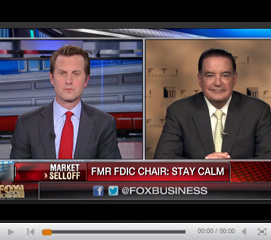 Would GOP candidates’ drastic plans help or hurt economy? 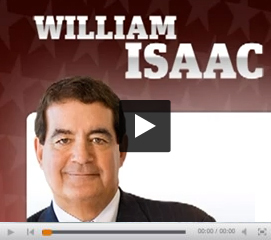 Former FDIC Chairman Bill Isaac weighs in on America’s News HQ, October 31, 2015 *lost satellite feed about three minutes into the interview.